When you hear the phrase “data-driven enterprise,” what comes to mind? Do you think of it as just another buzzword, or do you see it as a linchpin of an organization’s survival in both the short-and long-term? In today’s world, being a data-driven enterprise is no longer a luxury; it is imperative. But, what does it mean to be a data-driven enterprise, and why is it so crucial? This article explores what a data-driven enterprise is (and what it is not), what the benefits are of being a data-driven enterprise, what the foundations of a data-driven enterprise are, and what role data integration plays in the data-driven enterprise. To understand why it is crucial to be a data-driven enterprise, it is vital to establish the definition of such an organization. First, consider what a data-driven enterprise is not. All organizations have data. In today’s world, it is virtually impossible for a business not to have masses of data. More information was generated digitally in 2017 than in the previous 5,000 years of humanity. However, that does not mean your company is driven by data. Being a data-driven enterprise is not about the fact that you have data, or even that you have a great deal of it. Rather, it means that every decision and action you take is based on information culled from your data. You do not guess whether it is time to move into a new market or introduce a new product; you have hard, empirical data spurring that decision. Data is not a crutch for confirmation bias (“This information supports the theory I have”); instead, employees at every level of the firm look at data and draw conclusions from it. It also means that data is treated as a valuable resource. At data-driven companies, information is just as prized as employees, manufacturing facilities, or other assets. What Are the Benefits of Being a Data-Driven Enterprise? Now that there is a clear definition of what a data-driven enterprise is, look at the benefits of being a data-driven enterprise. You can start by examining the downside of relying upon just intuition to decide. Humans are very intelligent creatures. Yet, that intelligence has its limits, and humans are prone to biases that can undermine their decision-making processes. There are several biases to which humans fall prey: confirmation bias, anchoring, attentional bias, and optimism bias. The confirmation bias refers to the influence of emotion or desire on beliefs. If you want a certain idea to be true, you start believing it to be so. Suppose you really want a new product to perform well because you were instrumental in its journey from idea to reality; confirmation bias will prevent you from accepting that it is not a best-seller. Anchoring (also known as “focalism”) means you rely too heavily on a single piece of information to make decisions from the outset of the process. Suppose you are considering a new IT investment. Anchoring would come into play if you only focused on the price of the solution rather than considering whether it would be the right fit for your company. Attentional bias refers to paying excessive attention to a fact while ignoring everything else. An example of this would be ignoring the weather conditions in Southeast Asia, where your factories are located, while only zeroing in on what is going on in your home market. By not paying attention to the fact that a typhoon is brewing in Thailand, you will be caught unprepared when your production is disrupted. Optimism bias is the belief that the future will be better than the past, despite all the data to the contrary. Humans are optimistic creatures, even when there is nothing to support that opinion. You might believe that your sales will pick up, although your market share has been steadily shrinking over the past three years. Netflix collects an enormous amount of information from its clients, such as what they watch and how much content they watch at a time. The company uses this data to recommend the right content to audiences, making it the go-to source for entertainment. By the end of May 2018, Netflix’s stock hit an all-time high and its market cap grew to nearly $153 billion, putting it just ahead of the Disney Company. What Are the Foundations of a Data-Driven Enterprise? With a clear understanding of the advantages of a data-driven enterprise in mind, consider what foundations must be in place to make your organization a data-driven enterprise. To create a data-driven enterprise, there needs to be an awareness that information is crucial for better decision making. Sometimes, that awareness comes from analyzing the competition, while at other times, there is a legal need for creating a data-driven culture (to wit, the recent implementation of the EU's GDPR). 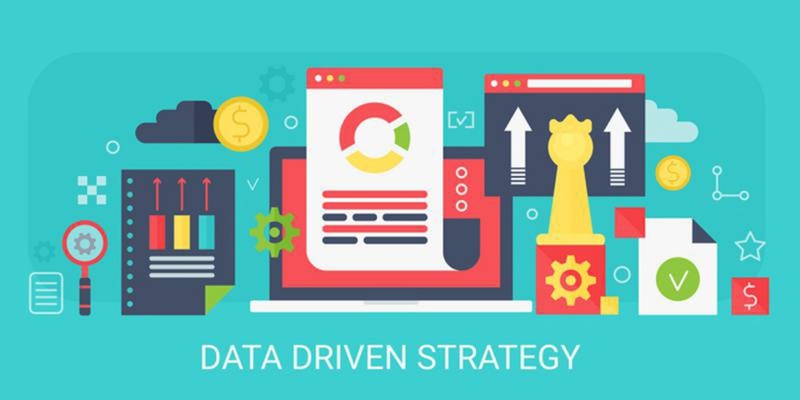 The second step to creating a data-driven enterprise is to foster a data-driven culture. This encourages employees at all levels to use information to make better decisions. However, they must know what data is available, how it can make the company more competitive, and how to use it. Organizations must also use the right data to build a data-driven enterprise. Information must be clean (formatted properly), consistent, and trustworthy. That is a significant problem for many firms, often because their data is locked in silos and no one can effectively gauge its accuracy. Where Does Data Integration Come In? Data is accessible to those who need it, when they need it. Go back to the example of Netflix. Netflix’s massive success is possible because of data integration. The company can bring together massive amounts of information and analyze it to provide the best recommendation for viewers and to guide Netflix’s executives to make the right choices of what content to produce. If Netflix operated by running data silos in every department, it would never have reached its current position in the market. The firm could never derive insight into what its customers were watching if the Marketing team did not properly communicate with Customer Service or Operations. Admittedly, not every firm is as data-reliant as Netflix for business growth, but the lesson Netflix offers is clear. In today’s market, the companies experiencing the highest levels of growth are data-driven, and that is not by accident. Data integration powers those firms by allowing them to analyze their information and gain valuable knowledge about themselves and their place in the market. To learn more about how to leverage data integration to become a data-driven enterprise, contact us today.